Illustration by Emily Roberts. ThoughtCo. Be sure to customize the vocabulary you choose based on the policies of your school. Some public and private schools may only allow secular references to winter holidays, while some faith-based schools may prefer not to include secular or popular mythological references to Santa Claus, Frosty the Snowman, or other secular holiday characters. Here are some ideas for using this vocabulary list in your classroom. Word Walls: Build vocabulary by designating one wall or part of a wall to post large print words that all students can read from their desks. Word Search Puzzles: You can create your own word search puzzles using one of several online puzzle generators. This allows you to customize them as appropriate for your class and school policies. For example, some schools may only allow secular references to the winter holidays. Sight Word Flash Cards: Make flash cards to improve vocabulary for early elementary students and for those with learning disabilities. Building holiday vocabulary will help them with seasonal reading. 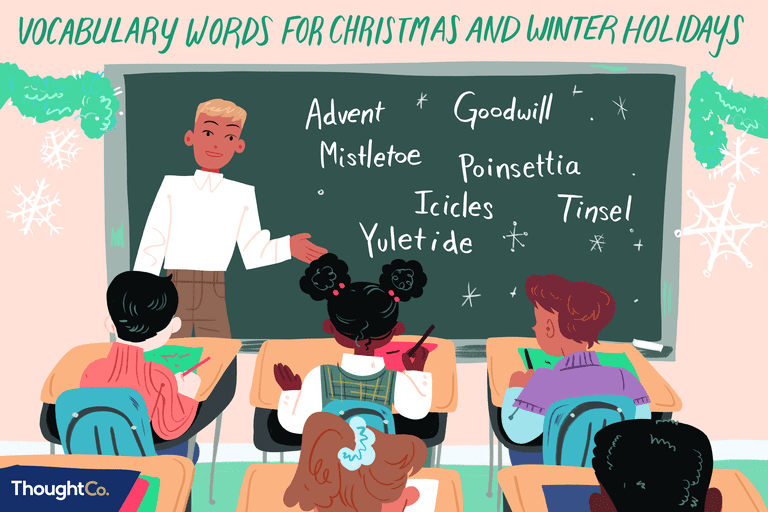 Holiday words may also be more fun for them to learn and spark interest. Hangman: This is an easy use for Christmas words and playing this game in the classroom can be a fun, interactive break between lessons. 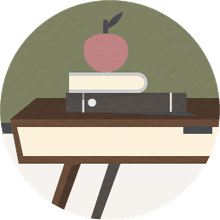 Poem or Story Written Word Exercise: Have students draw three or more of the words to incorporate into a poem or story. You can assign these to be turned in or shared with the class. Poems may be rhyming or not or in the form of a limerick or haiku. You can ask for a minimum word count for written story assignments. Impromptu Speech Exercise: Have students draw one to five words to incorporate into an impromptu speech to give to the class. You can have them draw words and immediately begin a speech, or give them a few minutes to prepare.